One of the most promising songwriters in country music today is Joshua Ray Walker. Not since John Moreland have I heard an artist whose songs and lyrics immediately affected me like Walker. Just listen to the lead track off his new album, Wish You Were Here, called 'Canyon'. It's a fantastic songs and just touches on how good he is once you listen to the whole album. Walker will be at The Granada tonight opening for Charlie Crockett. 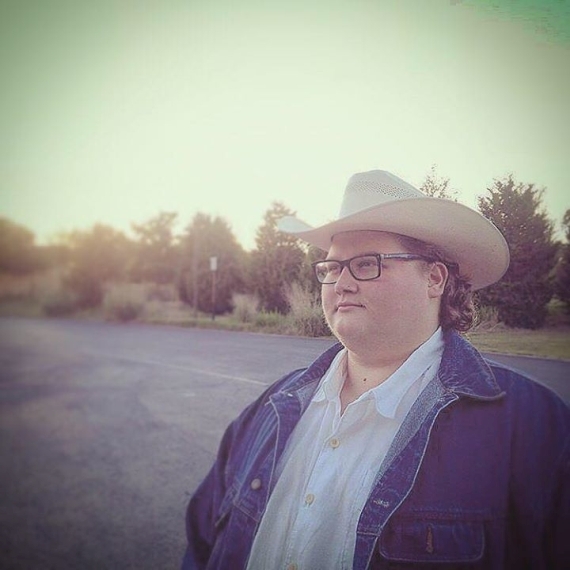 I don't know as much about Crockett but I've been digging into his catalog since finding out Joshua Ray was opening up for him. His music moves back and forth between blues and country and I have to admit, the country stuff is pretty damn good. Just check out his really solid cover of the famous country tune 'That's How I Got To Memphis' below. I'm getting a little too old for the festivals I use to try and attend with some regularity in my 20's. However, after attending the 2018 festival, I'll definitely be trying to make a yearly pilgrimage to Columbia, Missouri at the end of September for the Roots, Blues & BBQ festival. They announced the 2019 lineup on Friday and it's a really good one. There's plenty to like from the headliners all the way down to the smallest row of local acts. 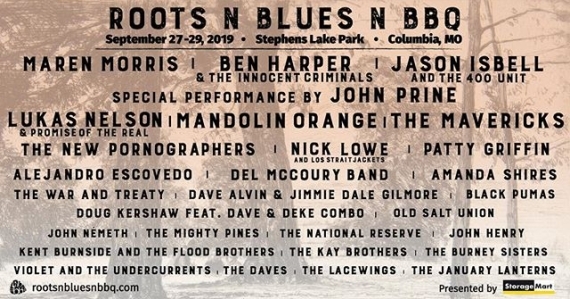 I'm always excited to see Jason Isbell, The New Pornographers, Amanda Shires and Ben Harper again but I'm most excited for the acts I've never seen before. John Prine, Lukas Nelson, Patty Griffin, and Doug Kershaw are all at the top of that list for me. I reviewed the three day festival last year and raved about how much we enjoyed it, so don't miss out! 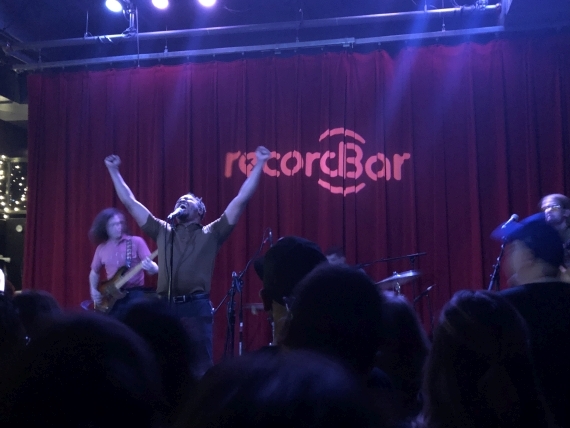 On Saturday night the folks that packed the sold out Record Bar were treated to one of the best shows they're likely to see all year. 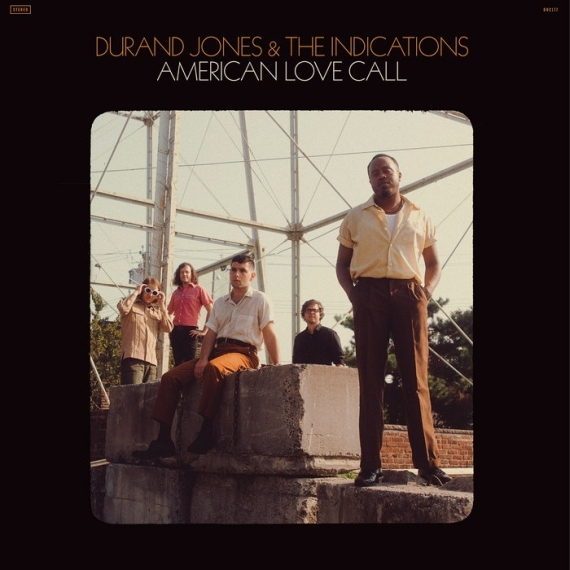 Durand Jones & The Indications are touring behind their fantastic sophomore album, American Love Call, and they showed what an impressive live force they are. The Indications are a really tight band that provide a fantastic background for Durand Jones and drummer Aaron Frazer to shine on vocals. Durand is a true band leader and puts on a frontman show reminiscent of James Brown or Marvin Gaye. At numerous points in time Jones was singing from his knees, flat on his back, or sitting off to the side and letting his band shine. The secret weapon of The Indications though is Frazer. Not only does he absolutely kill it on the drums but his falsetto vocals on songs like 'Is It Any Wonder', which received one of the biggest crowd reactions of the evening, are breathtaking. The band played most of their two albums and peppered a few well placed covers in the set as well. 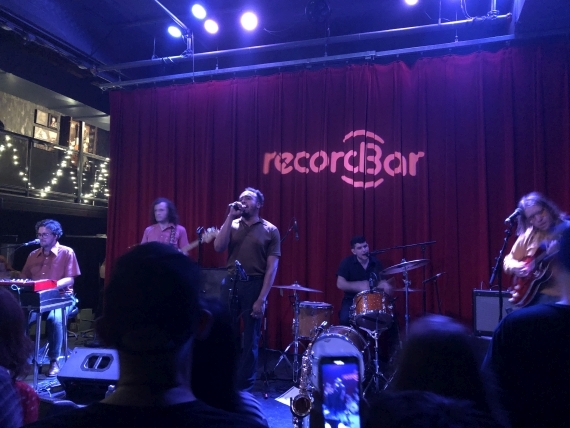 A sped up version of Curtis Mayfields '(Don't Worry) If There Is A Hell Below, We're All Gonna Go' was a highlight of the night as well as their show closing cover of The Beatles 'Don't Let Me Down'. This will likely be the smallest venue Durand Jones & The Indications will play in Kansas City and for good reason. With two strong albums in their catalog and a voracious live show, hopefully they get the huge recognition they deserve. Openers Ginger Root described themselves as "aggressive elevator soul" and to be honest I can't come up with a better descriptor. They were a lot of fun and I hope to catch them again soon. One of the shows we're most excited about in the entire month of April is Durand Jones & The Indications. They're a throwback to the soul and R&B music made famous in the 50's through the 70's but don't let that make you think it's stale or a rehash. Their music sounds fresh and inspired and from what I've seen of their live performances on YouTube, they put on a killer show as well. Their new album, American Love Call, came out last month and is already towards the top of my favorite albums of 2019. The combination of Jones's soulful voice and drummer/vocalist Aaron Frazer's beautiful falsetto makes for some outstanding harmonies and songwriting. The album touches on politics, love, heartbreak and everything in-between. I liked their self-titled debut album, but American Love Call is on a whole different level of greatness. 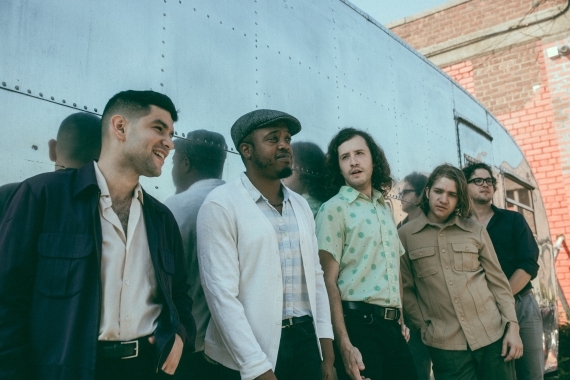 Durand Jones & The Indications will be at Record Bar on Saturday night, April 6th. There is no excuse for you to miss this show. Check out the video for the track 'Don't You Know' below and I'll see you at Record bar on Saturday. I don't want to write this without mentioning the elephant in the room. 'Motion Sickness' was admittedly written about Ryan Adams long before the damning NYT story came out recently documenting his abuses. However the song bears new weight after reading how Adams treated Bridgers specifically. I've been a long time Ryan Adams fan, but hopefully others like me will turn their attention to the music of someone much more worthy of it in Bridgers. 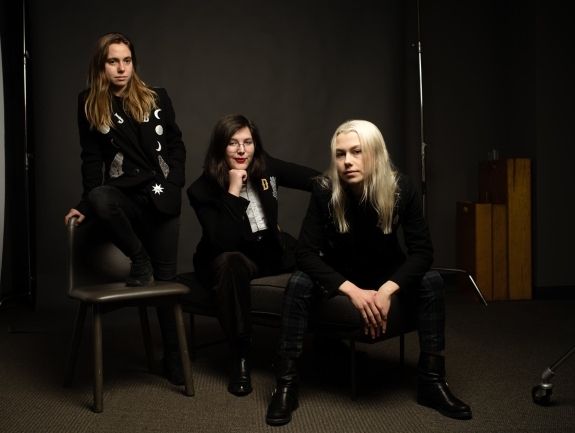 Bridgers continued this year with the release of Better Oblivion Community Center's debut self-titled album with Conor Oberst. 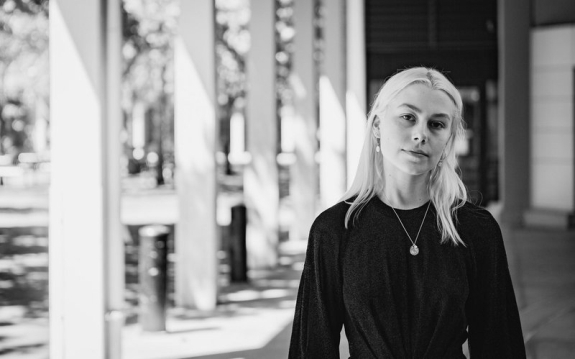 The album is another really solid effort and really shows that Bridger is as prolific as she is talented.